All the electronics are integrated on the back of the hand. 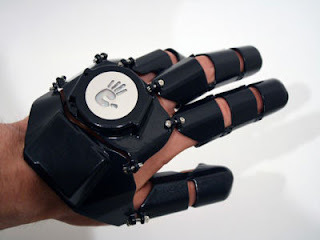 One Glove uses recycled electronic components and circuits made ​​pieces. It charges via a mini USB. A hand-shaped logo is backlit by an LED when the glove is used. For now, One Glove is not operational, the prototype images is an opaque body without the electronic component required for use as a phone. 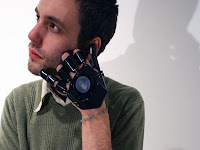 The creator will soon publish a tutorial for performing his glove phone itself.